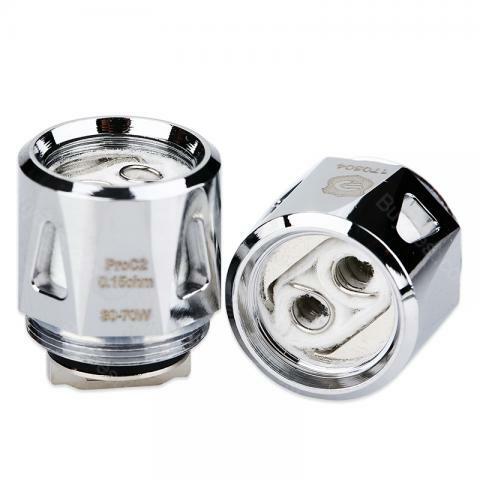 The Joyetech ProC2 DL Atomizer Head is a 0.5ohm coil which can work with the ProCore Aries atomizer. It works under 30 - 70w power and brings balanced flavor and vapor production. 5pcs each pack. Get them as spare parts. The Joyetech ProC2 DL Atomizer Head is a 0.15ohm coil which can work with the ProCore Aries atomizer. It works under 30 - 70w power and brings balanced flavor and vapor production. It aims at balanced flavor and vapor production. 5pcs each pack. Get them as spare parts. • 1 x Joyetech ProC2 DL Atomizer Head 5pcs/pack. • It is compatible with ProCore Aries Atomizer. It serves perfect for my vaporesso cascade one plus! I recommend it. Well packaged and arrives in perfect condition. Joyetech ProC2 DL Atomizer Head 5pcs/pack with a 0.2ohm ProC4 DL Coil 0.15ohm for ProCore Aries Tank Direct Lung. Great product, related to the seller. Many thanks for your gesture and interest. This product I bought and both achieved 2nd me 10 days.